An Iron-age ceremonial site in the Jordan valley near Moshav Argaman. 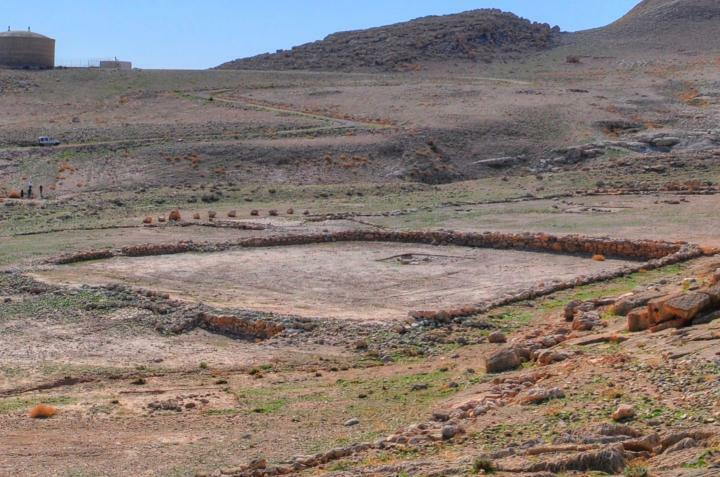 It is likely that this site was erected by the Israelites, led by Joshua, and was their first camp after crossing the Jordan. 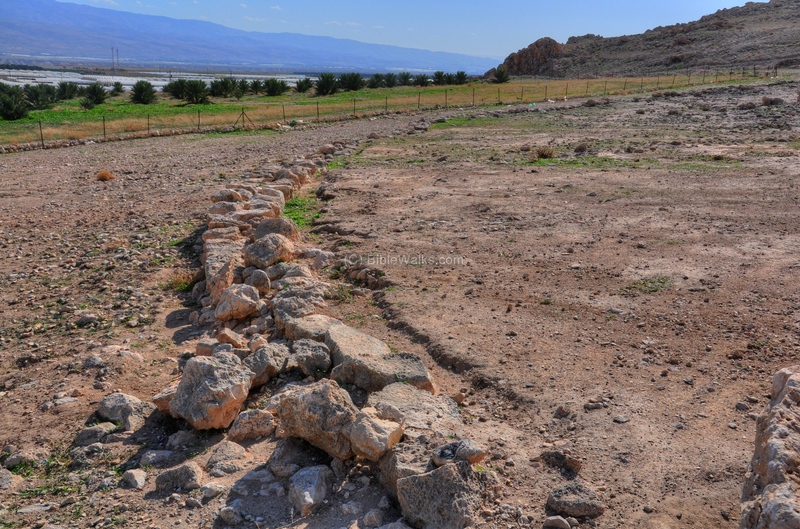 Joshua 4 19:"And the people came up out of Jordan on the tenth day of the first month, and encamped in Gilgal, in the east border of Jericho"
Gilgal Argaman is an Iron-age ceremonial site in the Jordan valley near Moshav Argaman. It is likely that this site was erected by the Israelites, led by Joshua, and was their first camp after crossing the Jordan. The site is located in a field south-west to Argaman, which can be reached from the road #90 junction ("Zippora" restaurant). You can drive close to the site via a paved road until the foothills close to the site. Then, either walk 300m to the site, or drive up the dirt road. 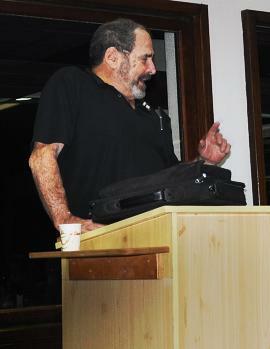 The late Professor Adam Zertal (Univ. 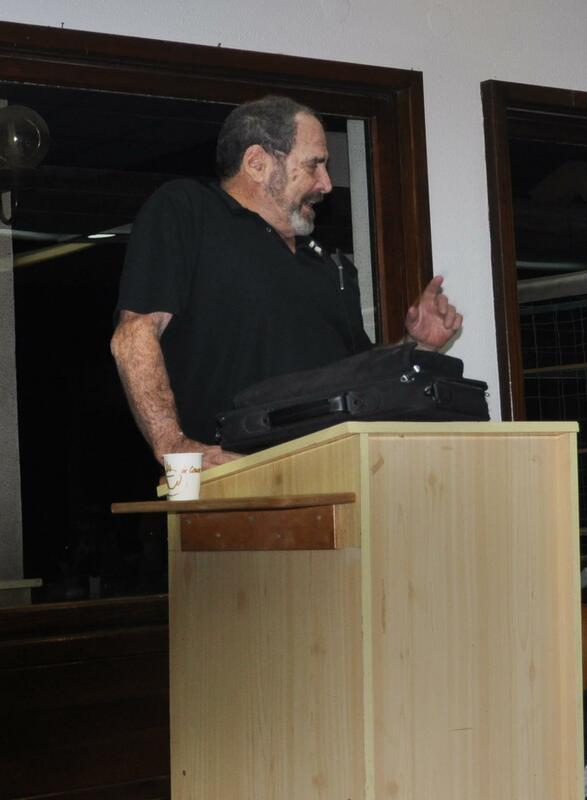 of Haifa) was a distinguished archeologist who focused on the early periods of the Israelite period. 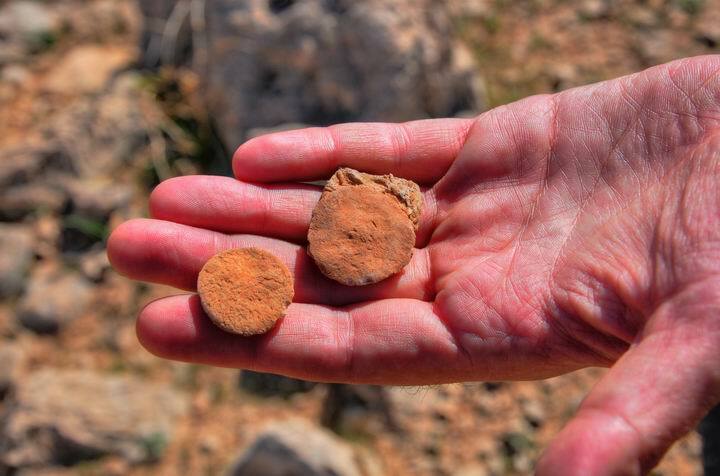 He discovered the site of an altar on Mt Ebal, an Iron age site he attributes to Joshua. Adam Zertal's amazing discoveries in the site and excavation surveys in Samaria were published in his book "A nation born- The Altar on Mt Ebal and the origins of Israel" (2000). In his book, Adam described the notion of the Gilgal - a word that appears 38 times in the Bible. The Gilgal, in the Bible, is not a specific location, rather it is a common name for a camp and religious site. The Gilgal appears in several sites in the Holy Land, and the site where the Israelites first camped after crossing the Jordan is called Gilgal-Jericho (Joshua 4 19):"And the people came up out of Jordan on the tenth day of the first month, and encamped in Gilgal, in the east border of Jericho". 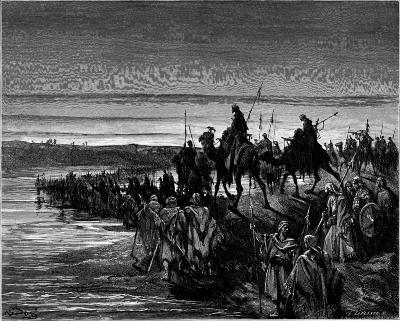 In his book, Adam states that the quest for this Gilgal, the first place after the crossing, is one of the important riddles that Biblical researches have been trying to resolve. Where is the first Gilgal? During 1996-2008 Adam led a survey team in the area of Samaria and the Jordan valley. Their findings included potential sites (called Gilgals) where the Israelites might have camped on their entry to the promised land. Five such locations were discovered along the path from the crossing of the Jordan to Mt Ebal. 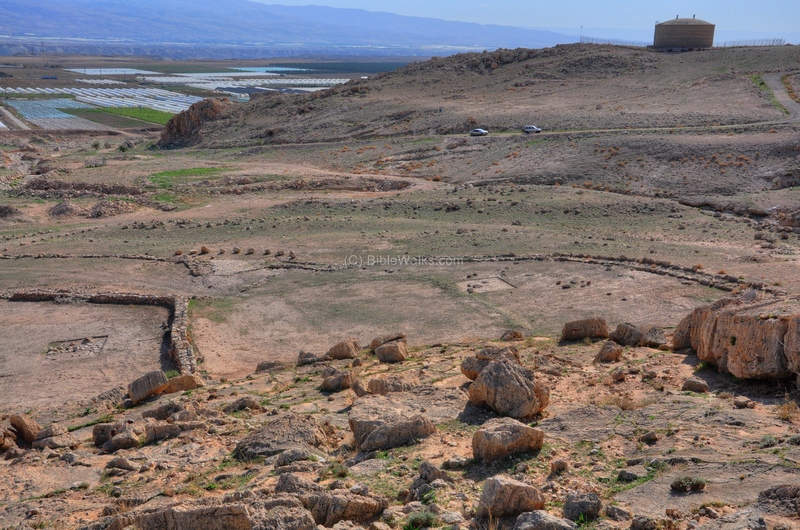 The site near Argaman, as well as the other sites, are dated to the early Iron age (12th-13th Century BC), the estimated time of the Israelites arrival. The sites were in use until the 9th C BC. They share a common unique shape of a human right footprint, which may be attributed to Biblical verses using the feet as a symbol of ownership and conquest (Deuteronomy 11 24): "Every place whereon the soles of your feet shall tread shall be yours: from the wilderness and Lebanon, from the river, the river Euphrates, even unto the uttermost sea shall your coast be". The form and shape of the five Gilgal sites indicate that they were used as large communal gathering places. Their areas very from 15 Dunams (3 sites) to 8 Dunams (2 sites). The Iron age site near Moshav Argaman may indeed be the first camp of the Israelites, due to its proximity to an ancient mountain pass (Yabbok / Jabbok river) and based on the excavations at the site. "That the waters which came down from above stood and rose up upon an heap very far from the city Adam...". An aerial view was captured in by a drone above the south side of the site. The area (15 Dunams - 200M x 85M), is surrounded by low walls. It has a unique shape of a human right footprint, with the toes on the top right side, and the heel on the bottom left. The amazing finding is that all the five sites share the same common shape of a right footprint, although this unique shape is not related to topographic restrictions. 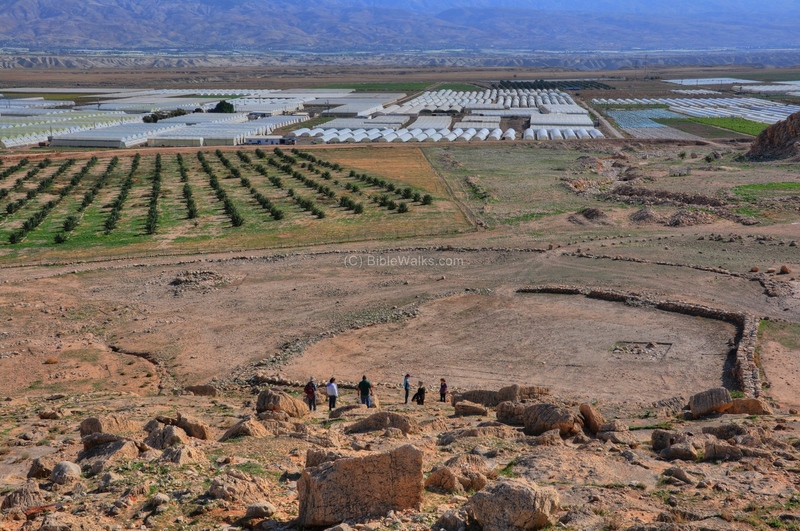 A view from the west side, on the foothills above the site, is seen in the panoramic picture below. 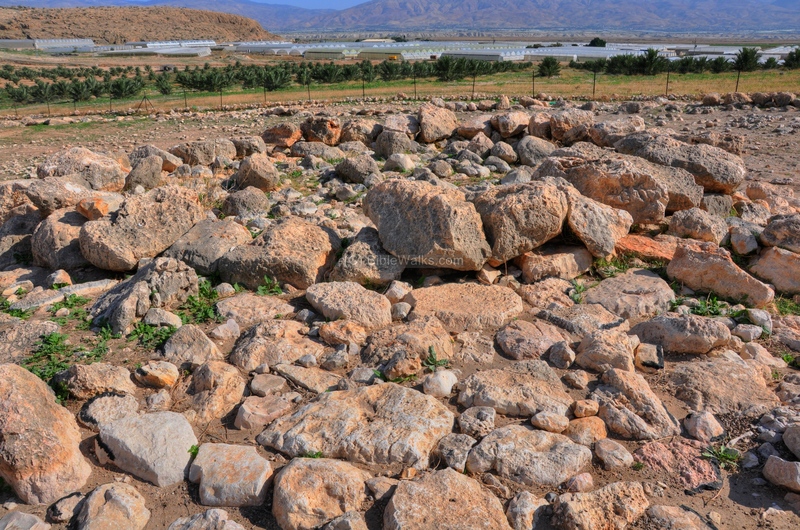 The southern section of the site is seen below, with a view towards the east (Jordan valley). This is the "heel" of the footprint. Around the footprint is a 2M wide path, which seems like a ceremonial route. It is speculated that the priests circled around the footprint during the gathering, as in a ritual procession. 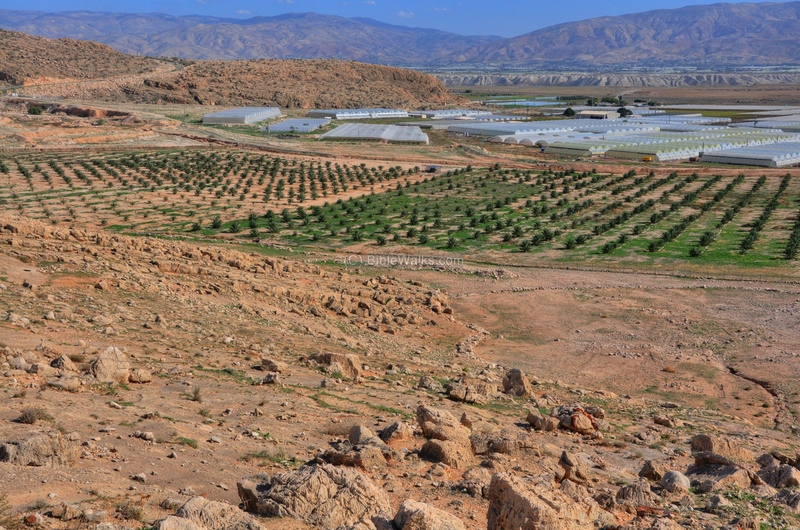 The central section is on the following photo, with the valley of the Jordan and the hills of Jordan in the background. 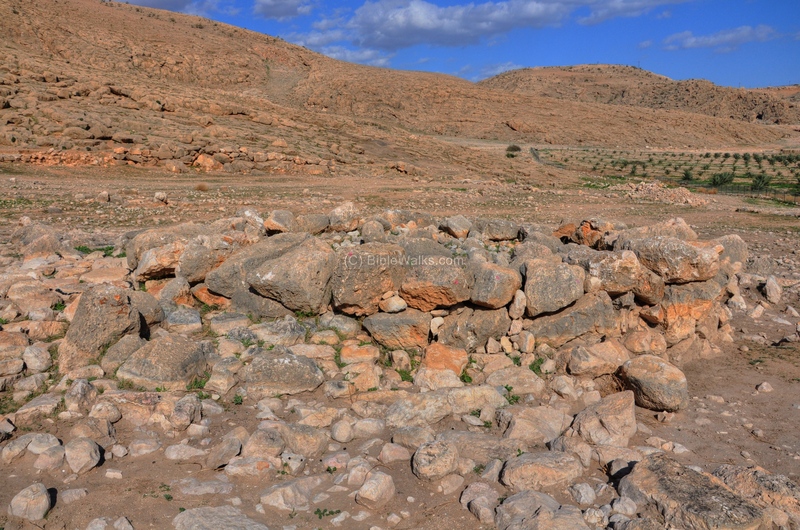 A gap in the center of the high mountains in the background (Yabbok/Jabbok /Zarka river) was a possible entry point of the Israelites from the Jordanian desert. Moses, who leaded the Israelites out from Egypt, has died on these mountains and was not allowed to cross into the Holy Land. The next picture shows the northern section of the site (the "toes"). 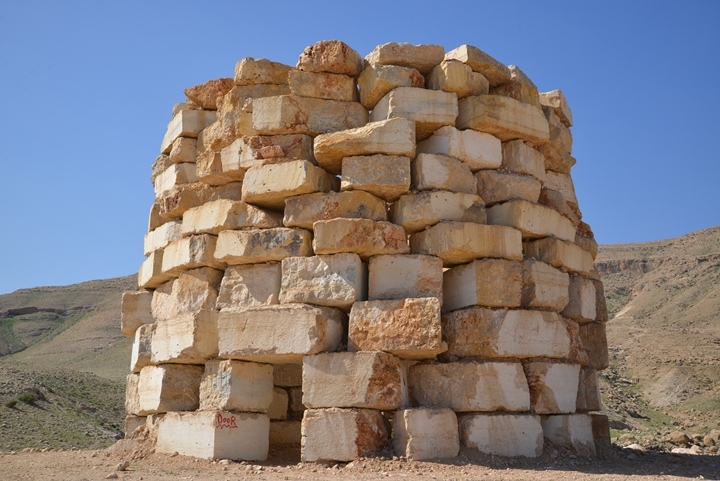 Although the stones below were placed by the archaeologists, one visualizes the 12 stones that the Israelites placed on site 33 centuries ago (Joshua 4 20):"And those twelve stones, which they took out of Jordan, did Joshua pitch in Gilgal". The altar is located on the north-east side, perhaps pointing to the direction of the arrival of the tribes from the Jordan mountains. A closer view of the altar is seen on the following photo. 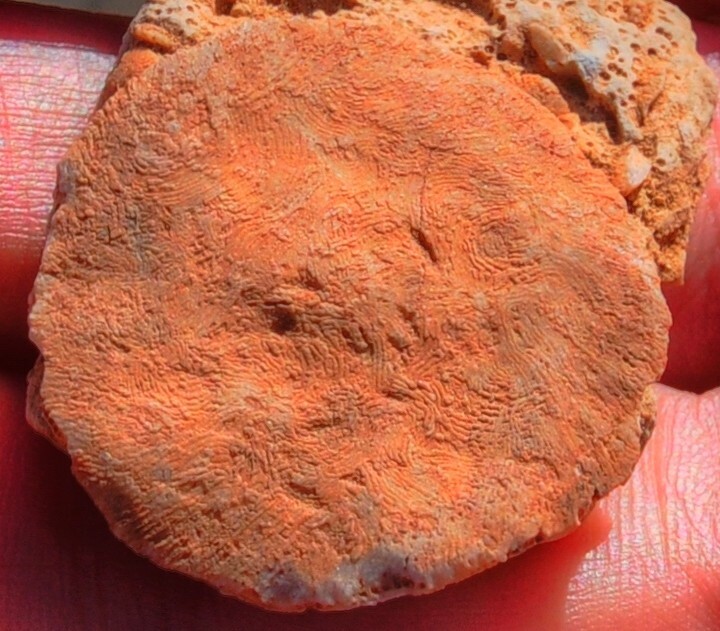 Note that it has a round shape, which is a unique shape since the archaeologist expected a square altar which was more common. The hill above the site is like a amphitheater around the central stage. Its huge flat rocks are great seats for a large audience. Modern stairs lead up from the ground level to a higher spot where you can have a grand view of the site. 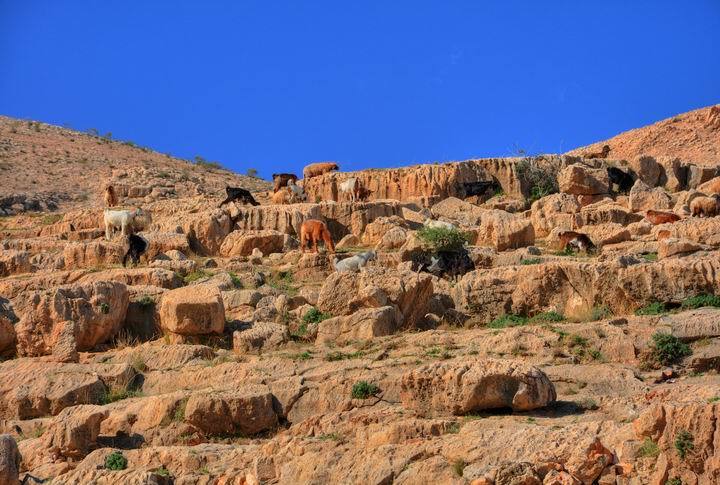 A herd of goats are seen in the following photo, grazing on the foothills above Gilgal. 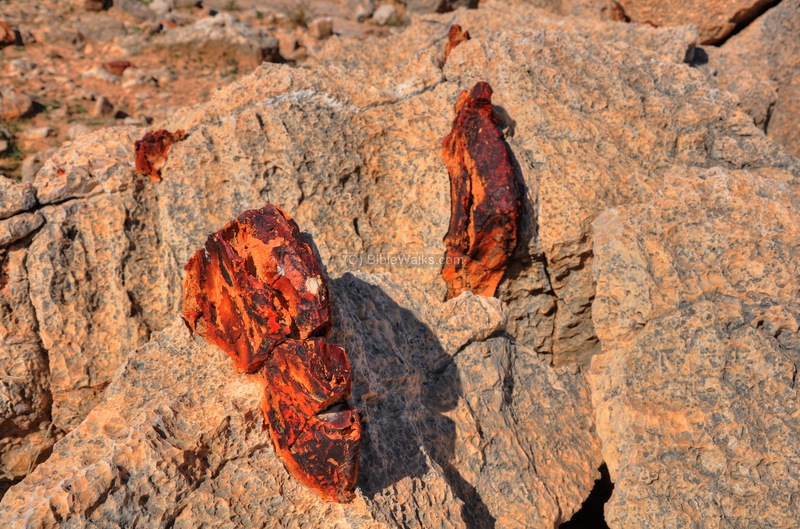 There are special rock formations scattered around. 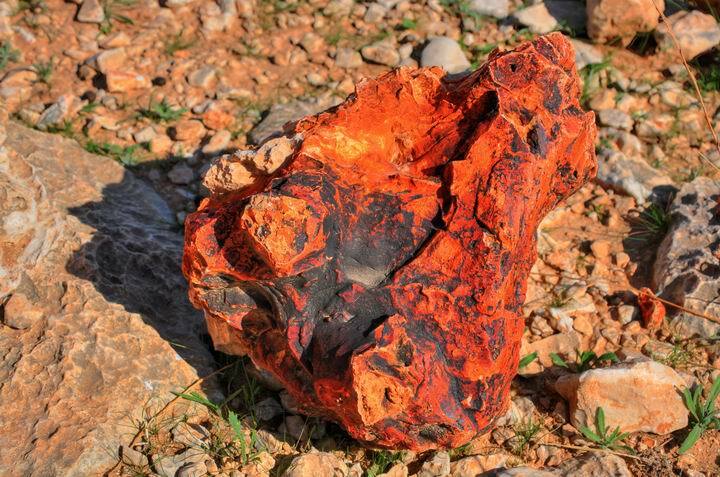 Inside the limestone rocks are fragments of red & black rocks. Other rock formations are seen in the following photo. Some of the colorful stones got loose from the softer rock. 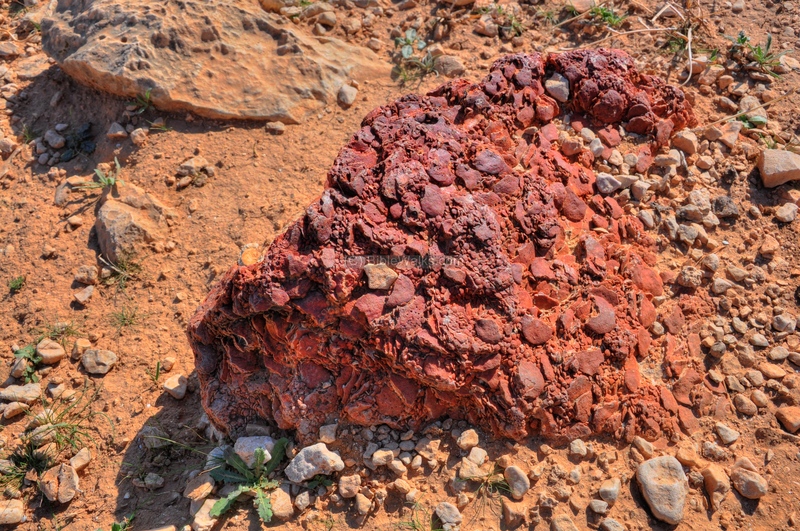 In the area are special types of stones called Nummulites. These rocks look like coins, and are named after them (based on the Latin form nummulus - means "little coin"). 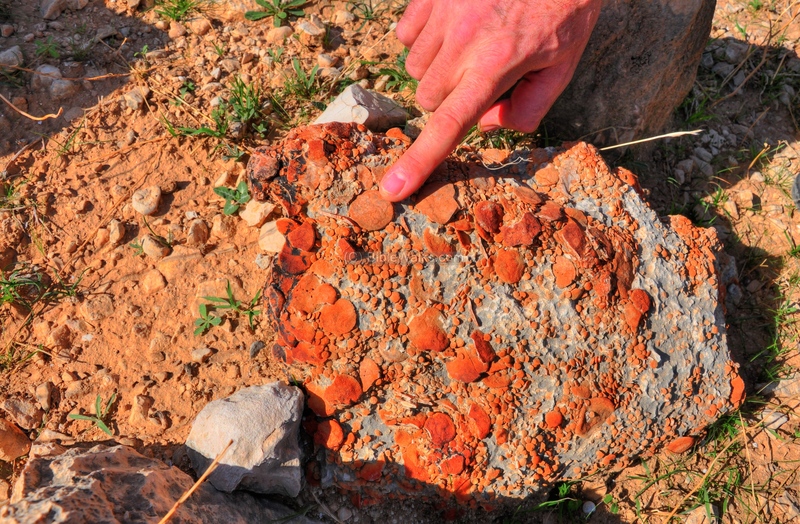 The rocks above and below contain dozens of such coin shaped stones, assembled in a cluster. A standard size "coin" is seen in the rock below. A closer view of the stones is observed on the next picture. 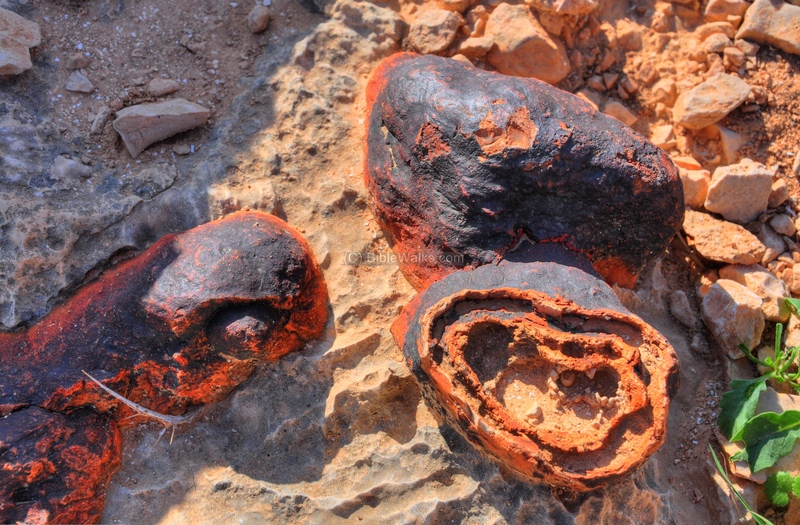 The stones are the shells of a marine fossil. 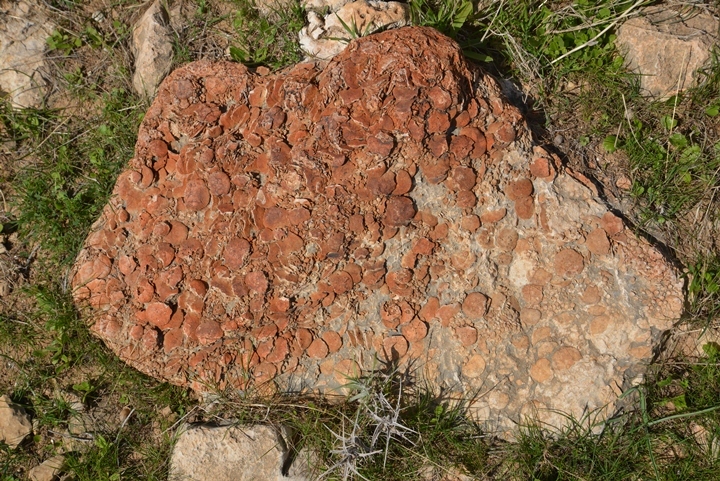 A closer view of the coin-shaped stone, held between the fingers. A new parking site was recently added on the south side, making the access to this exciting archaeological site more accessible. A high tower was added on the side of the parking area, constructed of large stone slabs. These verses describe the crossing of the Jordan and the camping at Gilgal-Jericho, which may be located near Argaman. "And the people came up out of Jordan on the tenth day of the first month, and encamped in Gilgal, in the east border of Jericho. And those twelve stones, which they took out of Jordan, did Joshua pitch in Gilgal. And he spake unto the children of Israel, saying, When your children shall ask their fathers in time to come, saying, What mean these stones? Then ye shall let your children know, saying, Israel came over this Jordan on dry land. For the LORD your God dried up the waters of Jordan from before you, until ye were passed over, as the LORD your God did to the Red sea, which he dried up from before us, until we were gone over: That all the people of the earth might know the hand of the LORD, that it is mighty: that ye might fear the LORD your God for ever.". Gilgal - from the root word Galgal (Hebrew for circle or wheel). 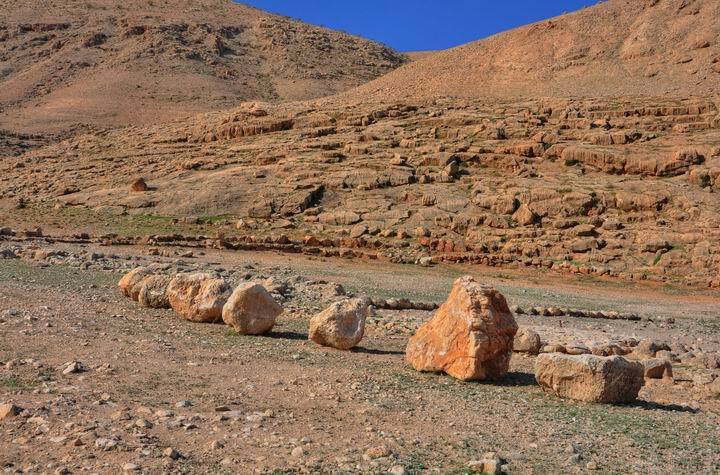 In Biblical times the Gilgal referred to a ancient ritual place, based on a stone circle , like Stonehenge in England. 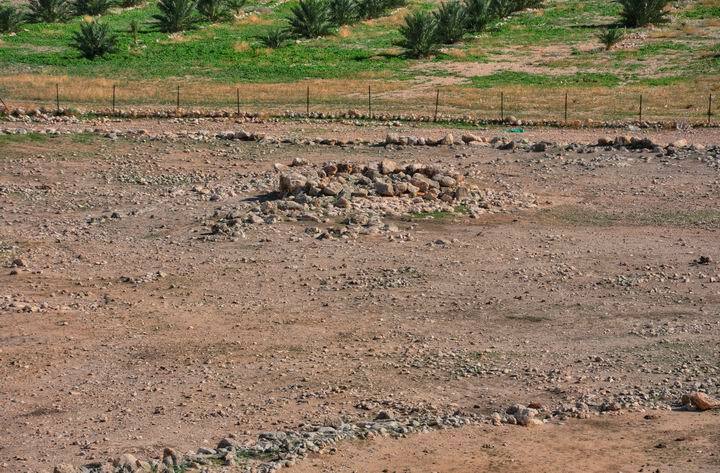 There were several similar sites in Israel, like in the Golan heights. In the course of the years the name evolved to to Gilgal (Hebrew). 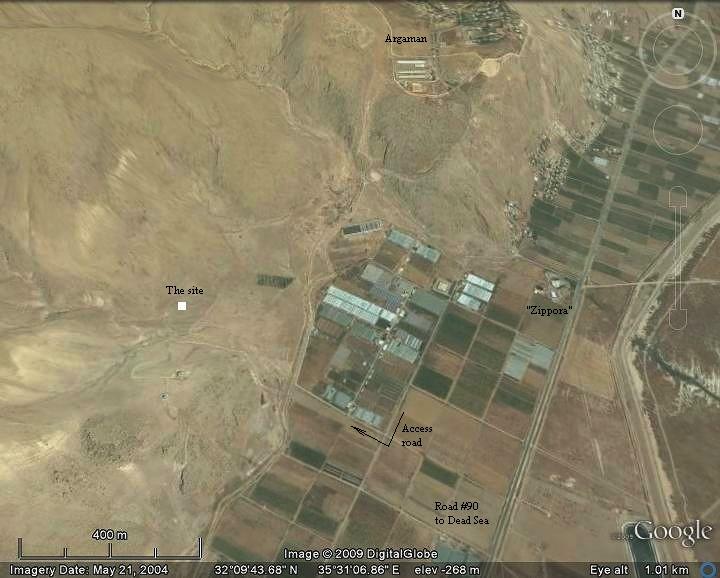 Argaman - A Moshav 8KM north-west of Adam bridge, founded in 1968. Its name is an acronym of two fallen commanders (Arik Regev + Gad Mandel).